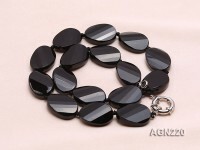 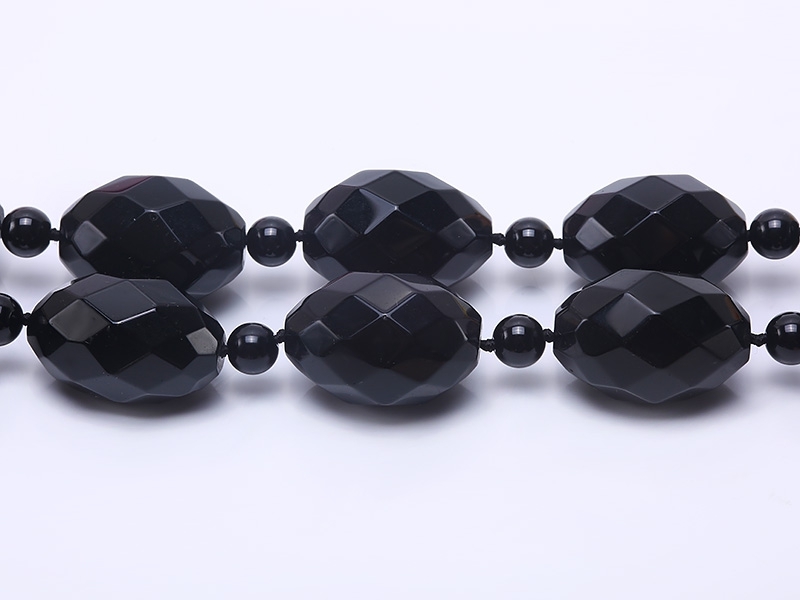 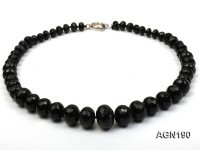 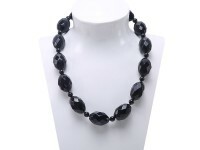 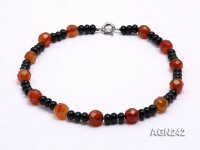 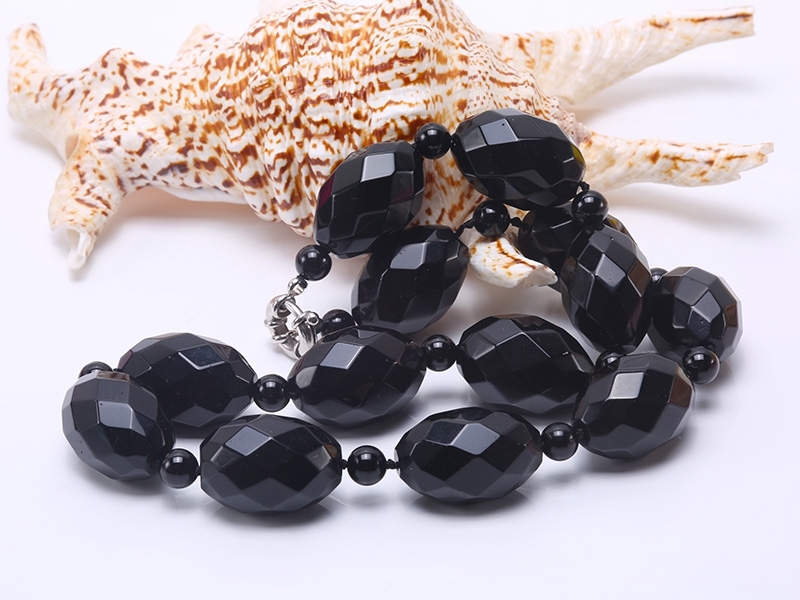 Elegant black agate necklace made with 20x30mm faceted black agates, alternated by 8mm round agate beads. 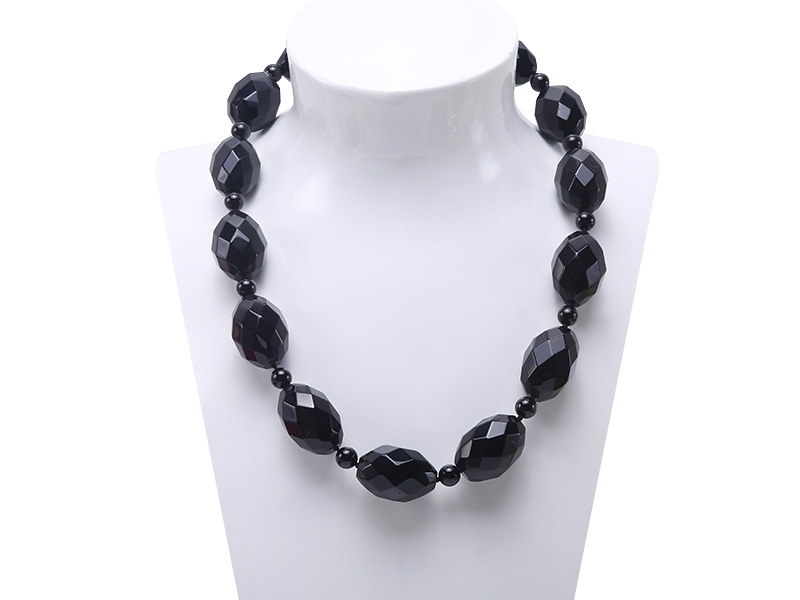 The necklace is individually hand-knoted to ensure security. 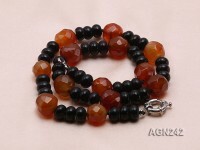 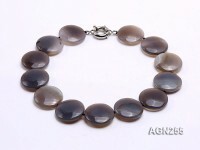 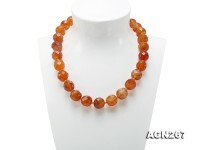 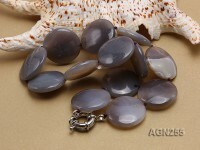 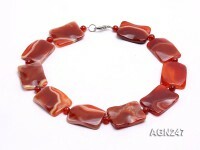 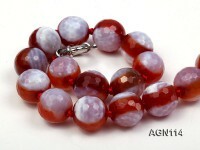 The agates are smooth with fine lusre. 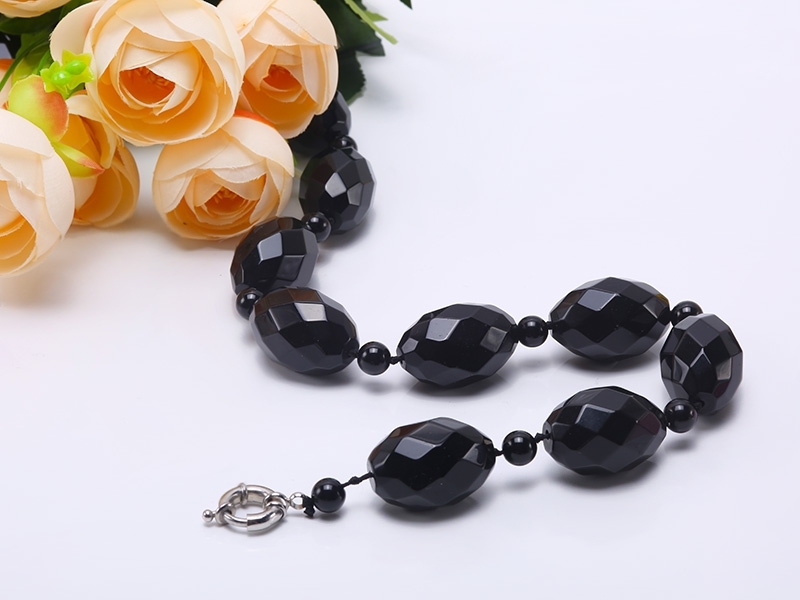 This necklace is suitable for mature female. 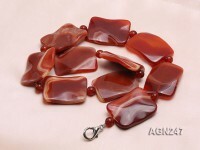 Agate is a microcrystalline variety of quartz, chiefly chalcedony, characterised by its fineness of grain and brightness of color.In many traditions agate is believed to cure the stings of scorpions and the bites of snakes, soothe the mind, prevent contagion, still thunder and lightning, promote eloquence, prevent fever, quench thrist, secure the favor of the powerful, and bring victory over enemies.